Find the answer to if you can drink caffeine while breastfeeding, and if so, how much. 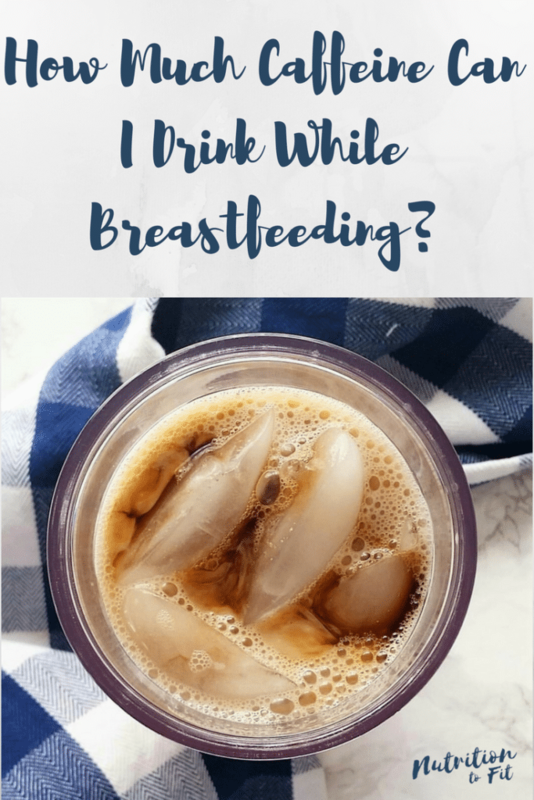 A common confusion many pregnant or new moms I talk to have is about caffeine consumption while breastfeeding. A lot of soon-to-be mamas or new moms have the misconception that they can’t drink caffeine while breastfeeding. After all, the amount of caffeine you can ingest while pregnant is restricted – shouldn’t it be even more so when nursing? Plus someone once told them they could drink coffee, but someone else said they couldn’t even eat chocolate because of caffeine in chocolate…so what’s the deal? In short – you can have caffeine while breastfeeding. That said, as with all things, it should be consumed in moderation. Some babies can be more sensitive to caffeine than others, particularly if your baby is under six months old, because younger babies have a harder time metabolizing caffeine. If you didn’t consume any caffeine during pregnancy, your baby may be more sensitive to caffeine. Caffeine is considered a stimulant/ drug. It actually is sometimes given as a medication to premature babies to help with breathing problems, and in much higher amounts than what’s in the mother’s milk. The American Academy of Pediatrics classifies caffeine as a “Maternal Medication Usually Compatible with Breastfeeding”. Dr. Thomas Hale, author of my go-to resource for everything on medications, Medications & Mother’s Milk, in pregnancy and lactation classifies caffeine as an L2, meaning Lactation Risk 2 (safer). The amount of caffeine in your breast milk is about 0.06-1.15% of what the mother consumes, and is at its peak 1-2 hours after the mother drinks. As with everything relating to parenting and babies, your baby is unique and has his or her own set of needs and sensitivities. You’ll see a lot of sources recommend anywhere between 500-750 mg daily (about three 8oz cups of black coffee) as an upper limit for the amount of caffeine you can ingest while lactating. But your baby may tolerate more or less, especially depending on the timing of when you’re consuming caffeine and how soon after you’re breastfeeding. If your baby is excessively awake, wide-eyed, may be particularly fussy, and you consume a large amount of caffeine, you may want to cut back – and know it can take 2-3 weeks to make a difference. Any other questions about breastfeeding? Ask away in the comments – I’m happy to help and always looking for new content ideas! 🙂 Check out the social links below, too – you can always reach out to me on any social platform!